In 1957 Remington launched a new cartridge to fill the gap between the .270 Win. and the .30-06. Dubbed the .280 Rem., the cartridge was based on the .30-06 case necked down to hold .284-inch bullets with the shoulder moved .050 inch forward so it couldn’t be chambered in a .270 Win. rifle. Ballistically speaking, this new round struck a sweet spot. It would shoot 140- and 150-grain bullets about 100 fps faster than a .270, but it shot flatter and hit almost as hard as the .30-06. But nobody seemed to care. The .280 was never a big seller despite a long list of tangible advantages over the .270 and the ’06. Then in 1962 Remington introduced the 7mm Rem. Mag., which was a step up in power above the .280 although it produced more recoil and burned more powder. Hunters lined up to buy Big Green’s hot new metric while the .280 was largely forgotten. But Remington knew the .280 was a good cartridge, and in 1979 it decided to re-release the cartridge as the 7mm Rem. Express. But shooters had difficulty understanding the 7mm Rem. Express was actually the .280 Rem., and, of far greater concern, it seemed some shooters thought the 7mm Rem. Express could be fired in a 7mm Rem. Mag. rifle and vice versa. So the cartridge reverted to .280 Rem. P.O. Ackley was also a fan of the .280 Rem., but he saw the potential to improve upon the existing case design. Ackley reduced the original cartridge’s body taper and changed the shoulder angle to 40 degrees, which allowed for greater case capacity. This new wildcat, which became known as the .280 Ackley Improved 40-Degree Shoulder, beat .280 Rem ballistics by about 100 fps, which gave it energy and trajectory figures that nipped at the heels of the 7mm Rem. Mag. yet the .280 AI produced less recoil and muzzle blast and offered space for an additional round in the magazine. Sweetening the deal even more, Ackley designed the cartridge so that .280 AI rifles could, in a pinch, function with .280 Rem. ammo. This also allowed handloaders to fireform brass from .280 Rem. ammo. The .280 Rem. has survived in a sort of suspended state since its inception, but it has notable fans, including the editor of this magazine. His reasoning for sticking with the original instead of upgrading to an Ackley Improved chamber is simple: Ammo is more widely available for the .280 Rem., and the relatively minor ballistic bump the AI offers simply isn’t compelling enough to make him give up what he already has. That makes sense to me. There are a handful of .280 Rem. bolt guns still being produced by companies like Browning, but you can often find a used .280 Rem. for an affordable price. And .280 Rem. 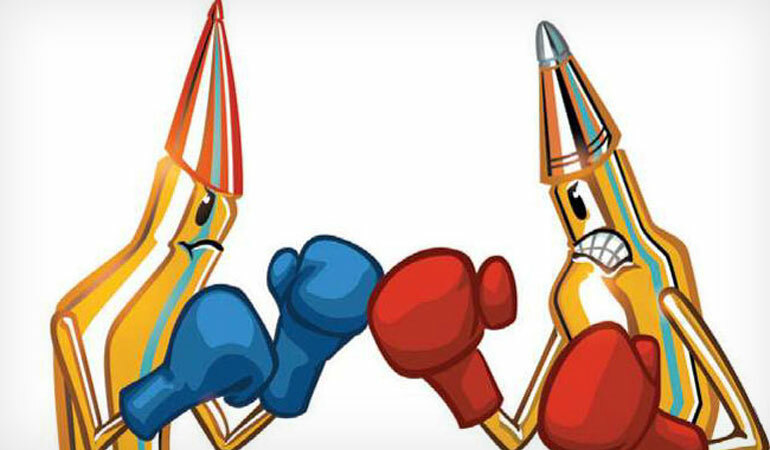 ammunition is not only more widely available than .280 AI ammo, it’s significantly cheaper. And while you can chamber .280 Rem. ammo in a .280 AI, accuracy likely won’t be what you can achieve with a standard .280 Rem. chamber. But the Ackley has many fans, and there are plenty of reasons to like the round. For starters, it’s no longer a wildcat; SAAMI gave the cartridge its official blessing in the late 2000s. Nosler led the charge by offering a number of factory .280 AI loads, and Hornady has included the cartridge—as well as .280 Rem.—in its popular Precision Hunter line. Fellow RifleShooter contributor Joseph von Benedikt shoots and hand-loads for the .280 AI, and he points out the .280 AI case stretches less than .280 Rem. cases, which means longer case life. Handloaders can make the .280 AI do things that the .280 Rem. simply can’t. The .280 AI challenges the 7mm Rem. Mag. ballistically and is more pleasant to shoot. There are also a number of companies chambering .280 AI production rifles—including Kimber, Savage and Nosler.